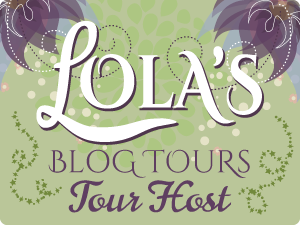 Today is my stop during the blog tour for The Wedding Pact (The O’Malleys #2) by Katee Robert. I’ll share my review, an excerpt of the book and there’s a tour wide giveaway! Carrigan and James fall for each other despite their families being sworn enemies, and irrespective of the fact that her father is currently arranging her wedding to a man of his choosing. I haven’t read the first book in this series but it didn’t matter, as this book can be read as a standalone. That said, I really want to read the first book now as I’m intrigued to learn more about this world. The romance is perfect in this book – I liked how it progressed. Both mains are likeable despite their family backgrounds, or maybe it’s because of it. Both of them have good hearts and want to change the way their families conduct business. It’s one of the things that attracts them to each other. I started this book thinking it was going to focus more on the ‘family business’ and the crime and corruption etc. However, the majority of this book focuses on the romance and it’s only the last thirty percent where we got into the meat of the other plotline. I especially loved the latter part of the book and it had plenty of action and twists and turns. I would have preferred more worldbuilding and suspense. For me, that would have made this book more of a stand-out. That’s not to imply that I didn’t enjoy it, because I did. The writing and pacing are good and the characters were well-crafted. Overall, this was a good first introduction to Katee Roberts, and I look forward to checking out more of her work in future. I received a copy of this book from the publicist and publisher via Netgalley in exchange for my honest review.